Theodore Roosevelt spent his whole life cheating death. Death came to Roosevelt 97 years ago today — but judging by his wild ventures, it should have come a lot sooner. Teddy Roosevelt was the Extraordinary Gentleman of American history. In addition to living an absurdly accomplished life – which included, among other things, becoming the youngest man to become president, the first American to win a Nobel Peace Prize, and being awarded a posthumous Medal of Honor – he set the template for the all-conquering hero whose answer to most problems is to roll up his sleeves and punch the world into submission. While this sounds cool in theory, the world usually punches back – much harder. 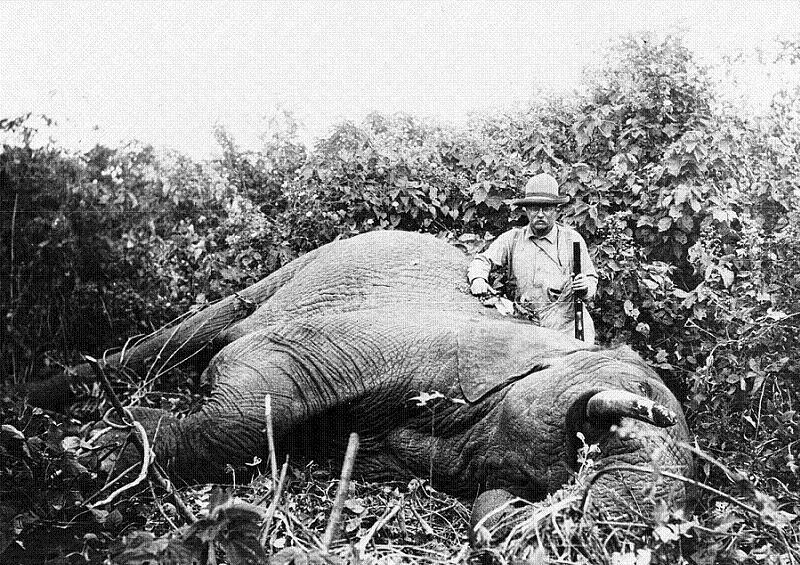 As befits the author of The Strenuous Life, Teddy Roosevelt spent his early years inventing the concept of “epic win.” At age 9, he wrote a book on zoology that contained original research and actually advanced the field. At age 11, despite a health condition that sometimes caused him to stop breathing, he became the youngest person to climb Mont Blanc. Later, he studied at Harvard and skipped out of Columbia School of Law to dive straight into a successful career as a politician in New York. Tragedy, however, wasn’t going to let him off that easily. In 1880, Roosevelt’s father unexpectedly died. A few years later, his mother also died. 11 hours after that, Roosevelt’s first wife died while giving birth to their daughter. Emotionally wrecked by these shocks, and already dissatisfied with his career in politics, Theodore threw everything away and headed out west to clear his head. In 1886, shortly after Roosevelt’s appointment as a deputy sheriff in what was then the howling wilderness of North Dakota, three thieves decided to cut the mooring rope on his riverboat and make off down the ice-choked rapids of the Little Missouri River. The idea seems to have been to leave Roosevelt and his two companions to freeze to death in the wild. The thieves didn’t get away. Roosevelt and his two companions, who were literally up the creek without a paddle in the frozen Badlands, spent the next three days building a second boat from scratch. Then they set off down the river in cold pursuit. Fighting the rapids and the ice floes for another three days, the group caught up with the thieves in a sheltered anchorage. 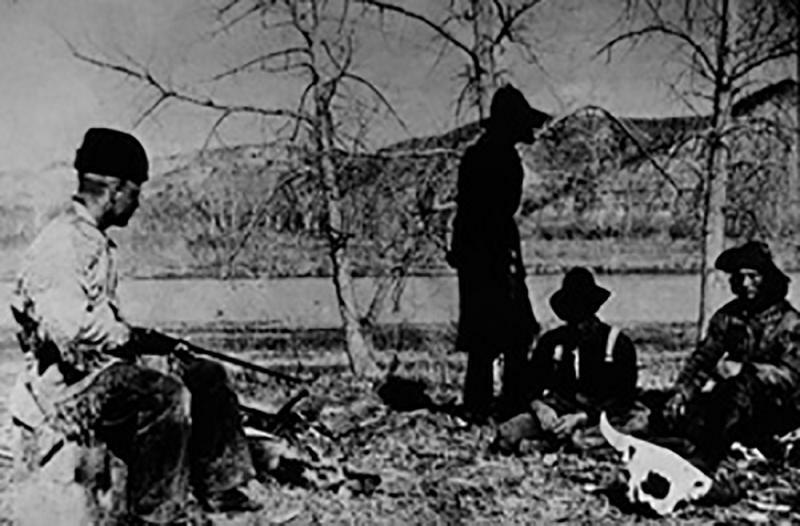 Roosevelt hit the bank first – of course – and took one of the men captive. The other two came back from hunting about an hour later and walked right into the ambush Roosevelt had set up. Standard practice at the time was to lynch thieves on the spot. Instead of taking the easy way out, Roosevelt decided to bring the men into town, that town being Dickinson, North Dakota, which was over 300 miles away through hostile Indian Country. According to his own account of the arrest, it wasn’t possible to bind the men’s hands because the sub-freezing temperatures would have caused frostbite. 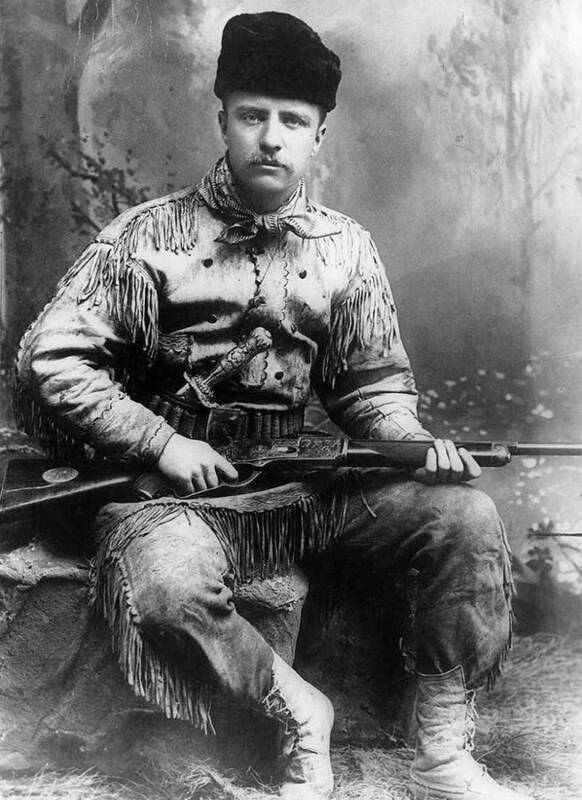 Instead Roosevelt took their boots away and kept a shotgun pointed at them for the eight days it took to get downriver, during which time he relieved the boredom by reading his copy of Anna Karenina. After making landfall, he told his two companions to take the boats back upstream, then he took the three captives on a forced overland march that lasted 36 hours – all without a wink of sleep. For his work apprehending the fugitives, he was paid a bounty of $50. Roosevelt eventually got tired of the Western lifestyle and went back east to dabble in national politics. By 1898, he was again itching for a change of scenery. Fortunately for him, the United States was on the brink of war with Spain at the time. When war broke out, Roosevelt resigned his position as acting Secretary of the Navy and cobbled together a cavalry regiment history remembers as the Rough Riders, which was staffed with a mixed bag of rich playboys, retired cowboys, and Bowery toughs with half their teeth missing. Roosevelt was nearly killed in Cuba several times. 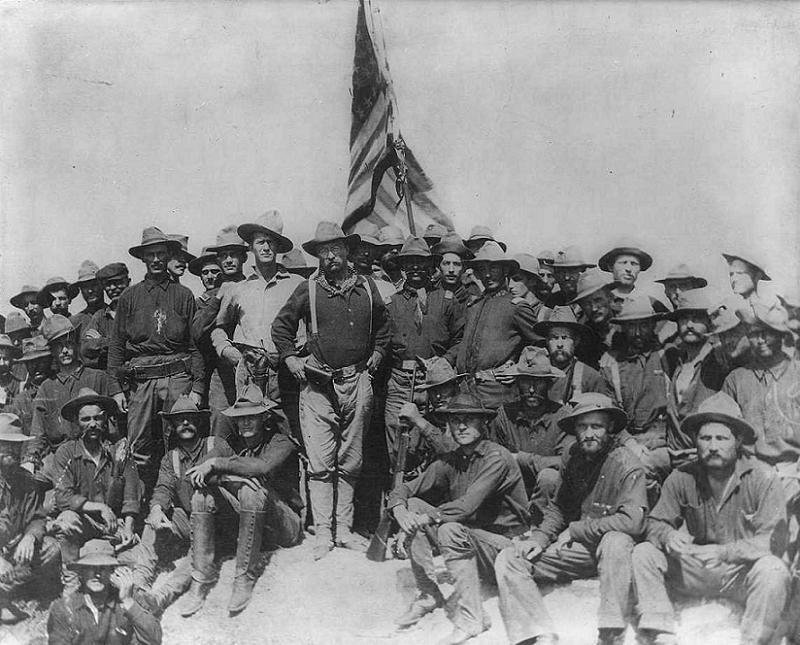 During the Spanish-American War’s first land battle, at Las Guasimas, Roosevelt’s unit was under the overall command of a former Confederate general who got so confused by the action that at one point he shouted to his men: “Come on, boys! We’ve got the damn Yankees on the run again!” The same general then hurled the Rough Riders into what amounted to a human-wave attack against an entrenched Spanish position. Amazingly, the maneuver sort of worked, and the Spaniards withdrew after suffering only seven dead and another seven wounded. During the battle that would make Roosevelt famous, San Juan Hill, the Rough Riders found themselves out of the main action, which was taking place on nearby Kettle Hill. Unable to control himself, Roosevelt mounted his horse and led a charge against the Spanish line without orders. Lieutenant Colonel Theodore Roosevelt distinguished himself by acts of bravery on 1 July, 1898, near Santiago de Cuba, Republic of Cuba, while leading a daring charge up San Juan Hill. Lieutenant Colonel Roosevelt, in total disregard for his personal safety, and accompanied by only four or five men, led a desperate and gallant charge up San Juan Hill, encouraging his troops to continue the assault through withering enemy fire over open countryside. Facing the enemy’s heavy fire, he displayed extraordinary bravery throughout the charge, and was the first to reach the enemy trenches, where he quickly killed one of the enemy with his pistol, allowing his men to continue the assault. It’s worth noting that he may or may not have had malaria at the time of the battle. 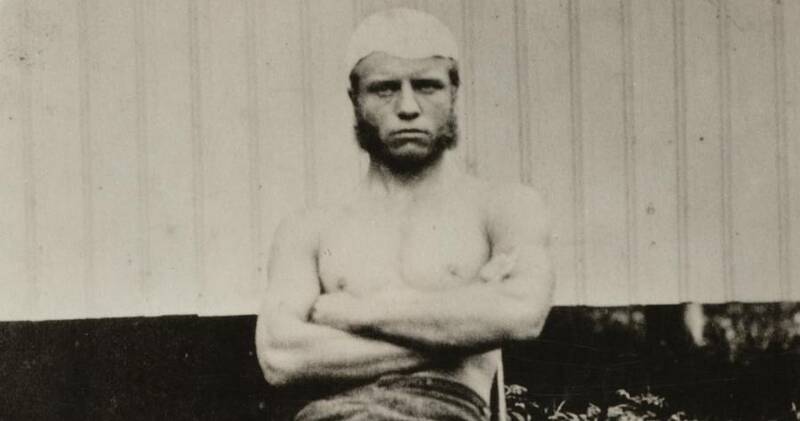 The world didn’t stop trying to kill Teddy Roosevelt when he came home from the war. As president in 1902, while traveling in a horse-drawn carriage, Roosevelt and his party were struck by a speeding electric streetcar. 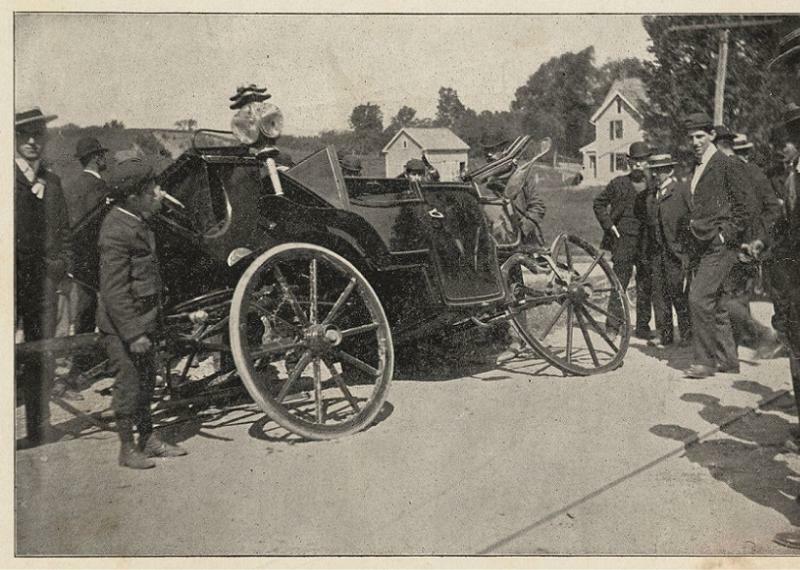 The carriage was totaled and William Craig, the first Secret Service member to be killed protecting a president, was crushed in the wreck. President Roosevelt was hurled from the impact and suffered a minor injury to the face. He suffered a more serious injury, which required surgery, to his leg and was confined to a wheelchair for a time. Roosevelt never admitted to the trouble the wound caused him. By 1912, Theodore Roosevelt had survived gunfights, a chronic childhood illness, open warfare, and a serious car crash. Having already been president for two terms, the 54-year-old Theodore Roosevelt decided he’d quite like to do it again. Much of the Republican Party establishment was against him this time, despite his good showing in the primaries, so he just sort of started his own party and siphoned off support from the base. Three weeks before Election Day, a deranged lone gunman decided to take a shot at Roosevelt. Like the three boat thieves, the man badly underestimated his mark. The assassin got up close to Roosevelt during a public appearance and fired a single pistol round into his chest at point-blank range. Fortunately, Roosevelt had a 50-page copy of his speech folded up in his breast pocket, just behind his steel eyeglass case. 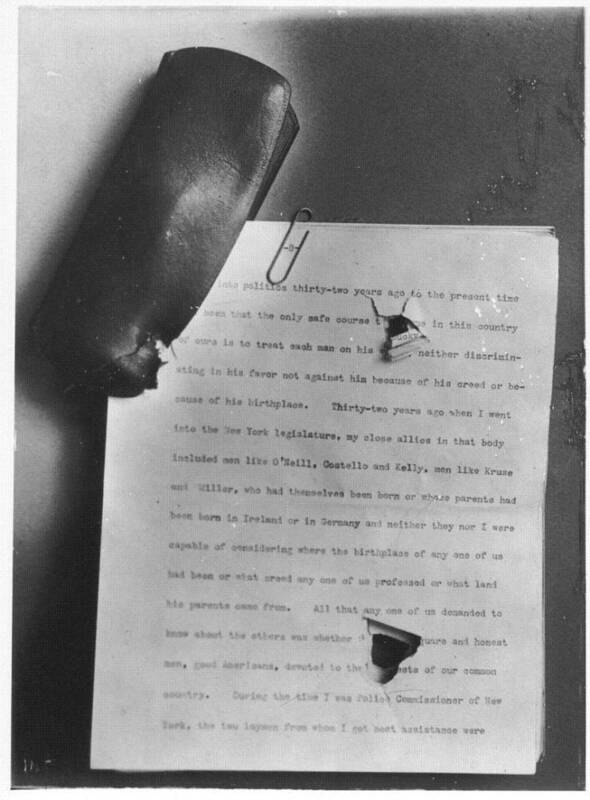 The bullet penetrated both and lodged in Roosevelt’s chest, which made for an amusing anecdote immediately after, when he took the stage at a rally and spoke for 90 minutes with blood seeping from the wound. At the hospital later, doctors decided to leave the bullet in place, possibly because they were scared of coming at Theodore Roosevelt with a knife to dig it out. After narrowly losing the 1912 election, Roosevelt decided to get away from it all. 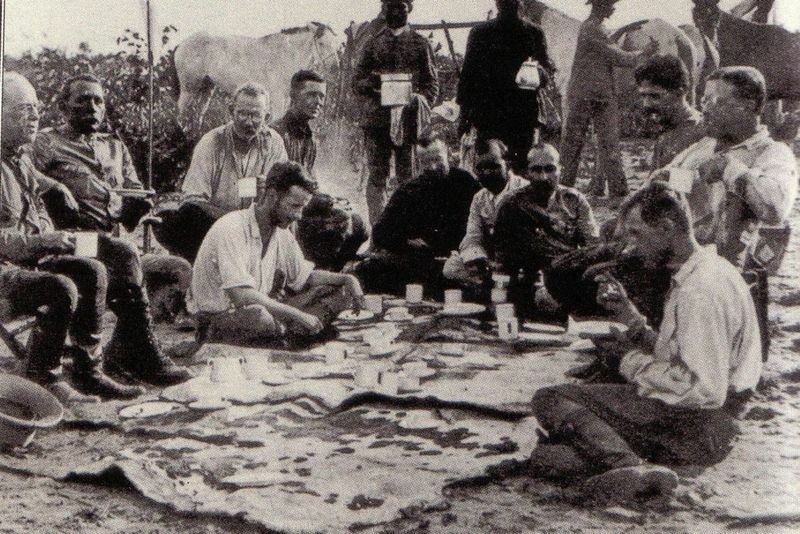 Being Theodore Roosevelt, his idea of getting away from it all involved a 20-man expedition through the uncharted Amazon River basin. During the trip, two of the canoes fetched up on rocks. Roosevelt jumped into the river and physically hefted the boats off of the shoals. The laws of physics caught up with him, however, and he suffered a serious gash to the leg in the effort. Then he came down with a tropical fever and lost 50 pounds during the return trip. True to form, Roosevelt spent the whole rescue operation urging the others in his party to set him down and leave him behind between bouts of delirium and vomiting. For the rest of his life, Roosevelt would be plagued with lung and leg ailments, which he did his best to pretend weren’t happening.